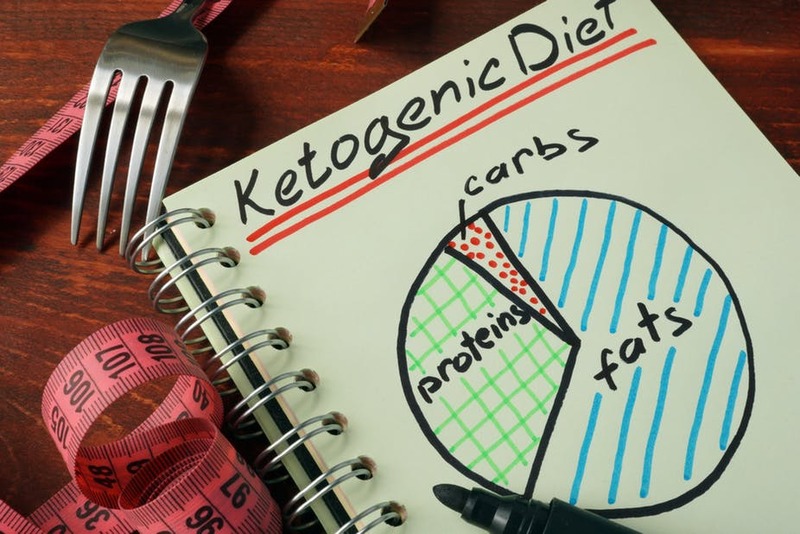 Ketogenic diets turn the body into a fat-burning machine through a low-carb, high-fat and moderate protein diet. While the diet has many potential benefits, it's important to approach a keto-state safely. Learn the risks and benefits associated with the diet and you'll be able to safely achieve your goals and experience a more energetic life. When you're successful with a ketogenic diet, you'll be rewarded with improved health, better physical condition and higher mental performance. What Can I Not Eat on Keto? The ketogenic diet offers a great method for weight loss that can help improve your overall health. Many people are drawn to the diet to lose weight, but it also has many other health benefits. Ketogenic diets bring your body to a metabolic state known as ketosis, where the body changes the way that it processes food. Most western diets focus on carbohydrates as the main energy source. With a ketogenic diet, the body is able to use ketone bodies for energy instead of glucose. This means you'll burn fat more rapidly and maintain a thinner waistline. Since fats are largely misunderstood, it's important to gain an understanding of the different types of fats that make up a ketogenic diet. One of the hallmarks of the ketogenic diet is that you'll be ingesting large amounts of fat. This often scares people away since conventional nutrition tends to label fat in a negative light. 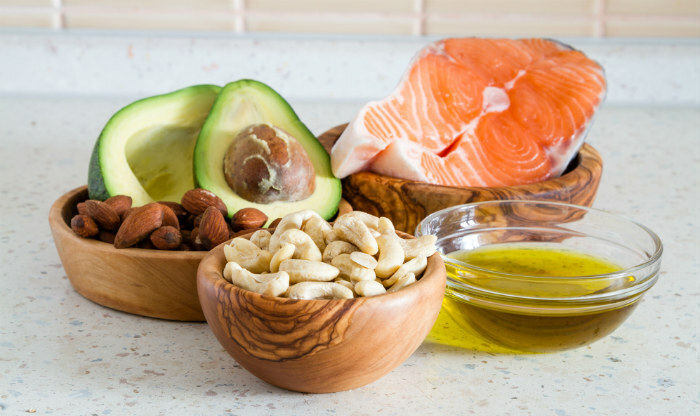 There have been numerous studies that have shown that eating polyunsaturated and monounsaturated fats don't increase your risk for heart disease. There are good fats and bad fats. The good fats are the monounsaturated fats and the polyunsaturated fats. Man-made fats like trans fats are bad for you, and they are the main reason that fat gets a bad name. Saturated fats fall in between good and bad fats. 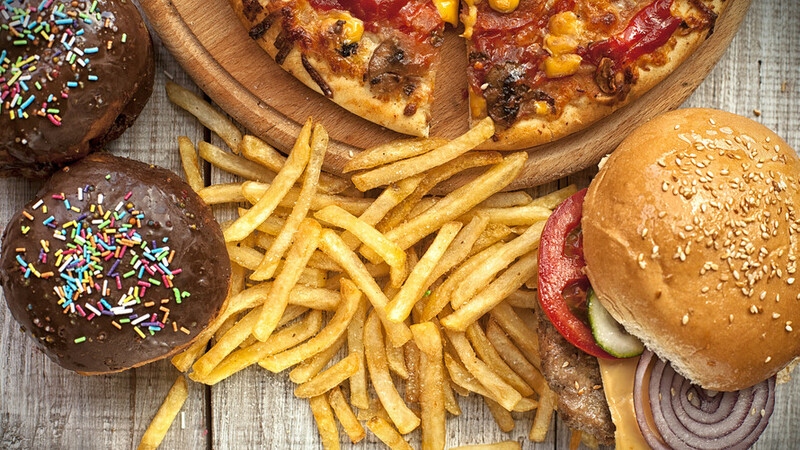 Trans fats should be avoided on the diet as much as possible. They are a byproduct of hydrogenation. These fats are created from healthy oils and turned into solids. This prevents the fats from going bad, but they are known for increasing the amounts of harmful LDL cholesterol while reducing the amount of helpful HDL cholesterol. A healthy ketogenic diet should avoid these kinds of fats. The Harvard School of Public Health has demonstrated that trans fats can prove harmful in extremely low proportions. When trans fats account for 2 percent of the total calories consumed, the risk for heart disease goes up by 23 percent. This state occurs when the body begins to create ketones, which can only be produced when you limit your carbs and protein. A ketone is essentially a small molecule that acts as an alternative fuel for the body. Ketogenic diets are another way of processing the food that you eat. The body is capable of adapting to changing conditions, and it responds in different ways depending on how you eat. If you maintain a high-carbohydrate diet, the body will burn carbohydrates for fuel. When you eliminate the carbohydrates, the body begins to burn ketones. For your body to burn ketones, the blood sugar in your body must be in short supply. Ketogenesis refers to the process of generating ketones. This is something your body does naturally when you don't have enough carbohydrates. This could occur after a period of intense exercise, a long fast or intentional elimination of carbohydrates from your diet. Essentially, your body gets tricked into entering starvation mode, but you will be anything but starving when you follow a ketogenic diet correctly. When you eat more than 100 grams of carbohydrates per day, your body stores carbohydrates in a form known as glycogen within the liver and muscles. Glycogen is essentially a storage compartment in your body. Carbohydrates are quickly reduced down into glucose, which is just a simple way of saying blood sugar. When your glucose levels drop below 100 grams of glucose per day, your liver isn't able to provide enough glucose to keep your body running. The liver then begins to pump out ketone bodies to provide enough energy for life. The process of ketogenesis generally takes about three weeks to begin. While ketones are produced initially, the body eventually switches to using mostly fat to keep your body chugging along. This initial stage is known as the Induction Stage. In short, a keto-state is the stage where the body begins to use fat for energy. When your body begins to break down fat for energy, it begins to create ketones. It's possible to test for the presence of ketones using a home blood or urine test. It's the most accurate way to measure the level of ketones in your system. This knowledge can give you a more accurate view of how your body is progressing. Ketones are chemically known as ketone bodies, and they are essential byproducts that are created when fatty acids are broken down. If you have a dry mouth, experience strong thirst and urinate frequently, these are all signs of ketone buildup in your body. The body produces ketones in the liver when it processes fat. When you enter into the proper state in a ketogenic diet, your body will switch to burning mostly fat for fuel. Your insulin levels will become low, which is why diabetics should typically avoid a ketogenic diet. When the insulin levels in your body become extremely low, the body has an easier time burning fat since it doesn't have to first burn through carbohydrates. While you could invoke this process by fasting, there are certain risks associated with fasting that are best avoided. The body loses vital nutrients on a fast and a fat can't be maintained forever. Getting into a state where your body burns ketones for fuel can be difficult for the first time keto dieter. However, once you get past the initial stages, you'll find that you have energy that is more consistent and stable. Using testing strips, you can easily find out when you enter the optimal state. Blood ketones are measures in units known as millimolars. When you achieve 1.5 to mmol/L, this is the optimal state to keep your body in to enjoy the fat burning, mental and physical performance benefits. Ketogenic diets must regulate the intake of carbohydrates and protein. When you ingest too many carbohydrates, your body will create an excess of blood sugar. Eating too much protein can also result in a rise in blood sugar. This is why a ketogenic diet must limit the intake of protein and carbohydrates to ensure the body reduces overall blood sugar. When blood sugar levels are high enough, the body will prefer to use blood sugar as a form of fuel. Glucose is another term for blood sugar, and it can be created by glycogen that is stored in the muscles. Muscles use blood sugar, fatty acids and ketone bodies as a source of fuel. Because the muscles store 75 percent of the glycogen in your body, it takes some time to deplete your glycogen stores when entering into a keto-state. The heart essentially has no glycogen stores and fatty acids and ketones serve as the main source of fuel for the heart. Glucose typically serves as the primary fuel for the brain unless the body enters a period of starvation. Since the brain can't store fuel like the muscles, it needs a constant supply of glucose. In a ketogenic diet, ketone bodies can work partially as fuel for the brain. This is why you must have some carbs while on a ketogenic diet, but you have to limit them to ensure that your body begins burning fat for the primary source of fuel. Essentially, ketones are produced when insulin levels drop and the body begins to dip into its fat stores. Many fatty acids then get transferred to the liver, and this turns them into ketone bodies. Since ketones are water-soluble molecules that can cross the blood-brain barrier, they are then used instead of glucose to fuel the brain. Using ketones instead of glucose doesn't harm the brain. While the brain does need some glucose to function, the body can produce its own using a process known as glucogenesis. Ketogenic diets are specifically designed to limit carbs while maintaining higher than normal levels of fat and protein. There are different types of ketogenic diets with specific goals that differ from other low-carb and high-fat diets. Unlike Atkins, LCHF, Paleo or Mediterranean diets, the ketogenic diet puts a limit on the amount of protein that should be consumed. The goal of a ketogenic diet is to keep carbs extremely low so that the body efficiently uses fat as fuel. As the most common ketogenic diet, the SKD type focuses on eating healthy fats, moderate protein and minimal carbohydrates. Typically, a dieter would consumer 70 percent of their calories from fat, 25 percent from protein and only 5 percent from carbohydrates. Fat intake doesn't need to be taken too literally, and on this diet, you can generally take in as many fats as you like. However, carbohydrates and protein should be limited in proportion to each other. Essentially, you should be ingesting between 20 to 50 grams of carbs per day. If your protein level is five times your carbohydrate level and you're eating quality fats, you should do fine on this diet. This diet is a subset of the SKD diet. It allows the dieter to consume higher levels of protein while reducing fat consumption. This diet helps to reduce hunger while still lowering overall hunger for food. Generally, it's recommended to increase protein by 10 percent while reducing fat by 10 percent. This is an ideal diet for those who find they are hungry on a typical SKD diet. If you're overweight, this diet may be necessary until you bring your overall weight down to a level that is suitable for SKD. A more advanced form of ketogenic diet is the TKD option. In this diet, you consume your carbohydrates in a single meal. Typically, this meal comes about an hour before you exercise. This way, the carbs are used for your exercise session, which keeps you from leaving your ketogenic state. Don't ingest foods that have large amounts of fructose since this would replace your liver glycogen. Glucose-based foods will restore muscle glycogen. Grains, beans, vegetables, nuts and fruits are all glucose-based foods. The recommended approach for this diet involves choosing foods that have a high glycemic index and then increasing protein after the workout to increase the recovery of your muscles. The term "carb-loading" aptly summarizes the concept for this diet. Dieters will follow a period where a standard ketogenic is followed by a break where large amounts of carbohydrates are ingested. Athletes and body builders will follow this diet to replace the glycogen that is lost during intense exercise. Typically, the diet uses a 5-2 approach. Follow a SKD diet for five days with carbs falling at around 50 grams. Then, follow a high carb period for two days with carbs in the 400 to 600 gram range. There is one type of ketogenic diet that may be helping for treating cancer. In this diet, you reduce your carbohydrate intake to 20 to 50 grams. The idea is to make your body run out of glycogen stores. When the body begins to create ketone bodies, it's believed that the healthy cells will use the ketones for fuel. The cancer cells are unable to use ketones, which means that they will starve and die out. The medical community has long known that the main food for cancer cells is glucose. The Journal of Cancer Research notes that tumor cells in the pancreas specifically use fructose to spread. The 2014 Volume 2 of Science Direct posted research by a team of scientists that found ketogenic diets to be beneficial for reducing the size of cancer cells in rats. The benefit to cancer patients was discovered because of the diets long history of effectively treating epilepsy patients. The success in treating epilepsy resulted in the application of the ketogenic diet for treating other disorders, including obesity, metabolic disorders and diseases of the brain like Parkinson's disease and Alzheimer's disease. Keto diets have several benefits that make them a healthy option for people who are looking to reset their bodies and their attitude towards food. Ketogenic diets are regularly used by the medical community to treat various conditions. Their safety and effectiveness can help you to lead a more productive and energetic life, and you can help to prevent or reduce serious medical issues that are often associated with aging. Many people will go on a fast for spiritual or health reasons, but the benefits of a fast can also be achieved through a ketogenic diet. While a fast is beneficial for many physical and psychological reasons, a ketogenic diet is something you can maintain for a prolonged period without ill effects. The problem with fasting is that eventually you have to add food back into the diet. When you do add food back into the diet, all sorts of problems can occur if you don't come off the fast safely. Re-feeding syndrome is a very real and frightening side effect of not coming off a water fast safely. It can land you in the hospital, and the benefits of a fast are far outweighed by the potential risks. A ketogenic diet can safely accomplish the same goals without depriving your body of essential nutrients. By far, the most commonly cited reason for starting a ketogenic diet is typically weight loss. A low carb and high fat diet can effectively help you to achieve a healthy weight. In the short term, you'll experience effective weight reduction that happens very quickly. Ketogenic diets are considered very low carb diets. However, the benefits tend to fade at the 12 to 24 month range. Still, with more energy and more vitality, you'll quickly learn that ketogenic diets offer numerous benefits that go beyond mere weight control. The reason that a ketogenic diet offers improved energy levels is because the body has to become adept at using fat as fuel. When the body always has carbohydrates to draw upon, it tends to become reliant on the easy to burn carbs. Since carbohydrate-based diets provide a consistent energy source, the body doesn't have to use fat as a fuel. In simple terms, the body isn't very good at using fat for energy. Low carbohydrate levels will force the body to use fats when carbohydrates are no longer available, which gives you a more efficient energy source. Once you enter the fat burning stage of a ketogenic diet, your body will begin to spare protein from being used for energy. Protein is utilized or expended in one of two ways -- through the urine or through conversion to glucose. After enough time on the diet, the body will prefer to use ketones for energy production. As you've learned, a traditional carbohydrate-based diet prefers glucose to ketones for fuel. However, because the body has large amounts of fat, protein doesn't need to be oxidized to create glucose and this results in better utilization of protein by the body. If you've ever noticed how once you start eating those carbs it becomes hard to stop, it's because there is some scientific evidence to support the idea that carbs increase hunger. When we consume carbs, our glucose levels sky rocket. This forces our body to produce more insulin to maintain normal blood sugar. A hormone known as glucagon is released when carbs are ingested, which is normally used to help control hunger. Ketogenic diets limit carbs, which makes an increase in hunger less likely to happen. On a ketogenic diet, there are lower overall insulin levels. Since insulin can block the body's ability to use fatty acids for fuel, the ketogenic diet is able to offer the potential for greater fat burning. There are also beneficial hormones that are released into the body, including growth hormone. All of these elements work together to ensure your body works more efficiently to burn fat. The National Institute of Health offers plenty of research and case studies to promote the possibility of a ketogenic diet for treating serious illnesses. Researchers feel that a ketogenic diet may help people who have autism, depression, migraines, cancer and other serious diseases. Since the diet seems to promote improved brain health, it's no wonder that people who make it through the induction period experience improved vitality. 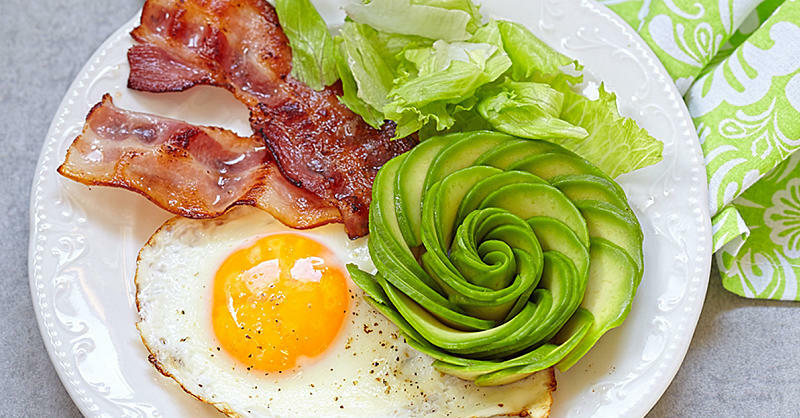 The ketogenic diet doesn't have to be overly complicated. Don't think of it as a diet with restrictions on what you can eat. Instead, think of it as a way of life that steers you clear of foods that will make you feel lethargic and tired. At the core, you want to avoid eating processed foods. You should also avoid food with preservatives, colorings and additives. For the most part, if it comes in a bag ready to eat, you should probably avoid it. In addition to common foods you can eat, all spices, herbs, lemon and lime juice are fine. If the food is low in carbs and makes our list, it's probably safe to eat. Grass-fed meat, pork and poultry. Since a ketogenic diet is designed to keep your carbohydrates low, there are some foods that may spike your insulin levels or increase your carbohydrate levels beyond recommended levels. If you eat high-carb foods, you could be taken out of the keto-state. There are also some foods like soy that should be avoided simply because of the high level of genetically modified ingredients. While there are some foods that you should avoid to keep your keto-state active, you'll find that you won't miss these foods once you have been on the diet for a few weeks. Macros aren't specific to the keto diet, but there are some differences in the way the term macro is applied to someone who is on a ketogenic diet. The term macro is short for macronutrients, which are the basic energy-giving elements that provide our body with fuel. The three macros you must know about are carbohydrates, protein and fats. While these terms have been discussed previously, it's a good idea to get a deeper look into these macros and how they affect your health. Click here for our keto macros calculator. It should be clear by now that carbohydrates are not essential for survival. You can live without carbohydrates, but this doesn't mean you should cut them out completely. Eliminating carbohydrates entirely could cause an increase in moodiness, irritability and agitation. Since minimizing carbohydrates is enough to help you get the most from your ketogenic diet, keeping your carbs under 50 grams is typically all you need to do. Not all carbs are created equal though. When it comes to carbs, fiber doesn't count since it's not digestible. Because of this, you can subtract the fiber from the total carbs to get your net carbs. When tracking your carbs, this is the number you want to use. Protein gives the body many of the amino acids that it needs to survive. Unlike carbohydrates, you can't live a healthy life without protein. You'll end up malnourished and you will likely incur other health problems. You need to take in enough protein to ensure your lean body mass is preserved on your diet. While the numbers will be slightly skewed if you're obese, you should aim for 0.7 to 0.8 grams of protein per pound of muscle to preserve your muscle mass. Gaining muscle requires a higher level of 0.8 to 1.2 grams of protein per pound of muscle mass. To figure our your muscle mass, you need to figure out your body fat percentage. If you are 100 pounds with 20 percent body fat, you'll need to multiple 80 by the desired amount of protein per pound of muscle mass that you want to take in to arrive at your total protein needs. Fats provide many of the vitamins you need and they help with growth and development as well. Fats offer a cushion for protecting the organs and they help to preserve cell membranes. Fats are also great at helping you stay full. Figure out your total fat needs by multiplying your protein needs by three or by determining your daily expenditure needs in calories using one of the many online calculators. Five percent of that number will give you the total number of carbs you need to take in. Find 25 percent of the number to get your protein requirement. The rest of your daily calories should come from fats. There are plenty of keto calculators that will do this for you. Or, you can figure out your total needs by using the calculations presented for each macro. 1) Preheat your oven to 350 degrees Fahrenheit. 2) Fry some bacon in butter and add spinach once the bacon becomes crispy. 3) Whisk 8 eggs and 1 cup of heavy cream together and pour into a baking dish that is greased. 4) Add the ingredients on top of the eggs and cream and top with cheese. 5) Bake for 25 to 30 minutes. 2) Season your chicken with salt, lemon and pepper. 3) Place the chicken in the oven and cook until the internal temperature reaches 165 degrees Fahrenheit. 4) Serve the chicken with spinach or leafy greens. 1) Purchase low-carb tortillas from your favorite specialty store. 2) Bring out your ground beef and let it sit on the counter while you prep the oil. 3) Add 2 tablespoons of olive oil to a large frying pan. Add 1.5 pounds of ground beef and fry for 10 minutes. 4) Add some taco seasoning, 1 cup water, a pinch of slat and stir. 5) Let the food simmer until the water is nearly gone. 6) Serve your tortillas with shredded cheese, lettuce and tomatoes. Many people also experience something known as the keto flu. You'll experience many symptoms that make people feel like they are getting sick. With all the changes in your body, this brief experience is something to be expected. Each person experiences it differently. Some people feel a slight mental fog and others may have cramps, fatigue, headaches and general confusion. Some of the symptoms can be mitigated by increasing your salt intake and working to ensure you have a proper balance of electrolytes. Bone broth may also help you keep the vital balance of minerals stable in your body. The ketogenic diet offers an incredible way to maintain a greater level of health and improve your lifestyle. By following the diet in a responsible and consistent manner, you can ward off many diseases, improve your health and bring more energy into your life. While this diet isn't for everyone, for those who make it through the induction period, it can provide great rewards.